Kinova’s operator-centric service robotics are built to assist and complement their operators at all times, rather than marginalizing human capability. 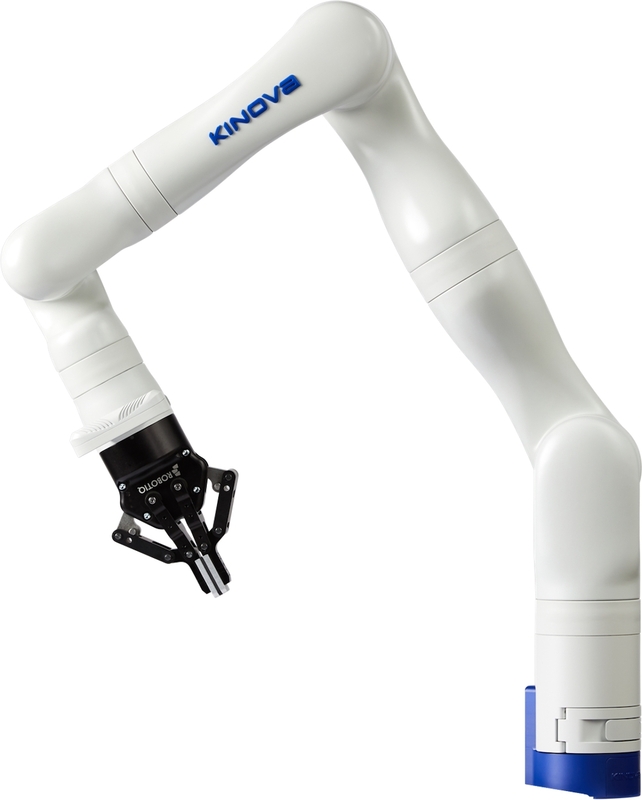 The KINOVATM Ultra lightweight series includes easy-to-use, power-efficient robot arms with an open architecture, ROS compatibility, and software tools for maximum performance and flexibility. The company is rooted in augmention of human capabilities; their robots are designed to be controlled by humans and to adapt to their specific working environment and conditions, not the other way around. Their robotic arm manipulators enable new robotic applications to optimize research capabilities across multiple industries. Researchers at more than 300 universities aroundthe worldrely on Kinova solutions for a wide range of tasks, from BCI control to humanoid manipulators. A MATLAB® wrapper on the Kinova API allows users to connect to the robots from within MATLAB, and query the status of robot components (fingers, arm joints, etc. ), including properties such as position and velocity. Users can also send commands to control and move the robots. The KINOVA Gen2 Ultra lightweight robot is supported with MATLAB. To learn about MathWorks using Kinova product case study, click here. Stay informed by monitoring he GitHub repository, and our website.